[prMac.com] Moscow, Russia - Worldwide fans of Social-Hub have some new reasons to cherish the unique social network aggregator app, now that a new update is available in the App Store. Created by developer Islom Kamalkhodjaev and offered at no cost, Social-Hub is the brilliant answer to a tedious problem that countless people of all ages and backgrounds have struggled with for years: constantly launching multiple social media accounts to keep up with their friends, colleagues, favorite people and businesses, and so on. 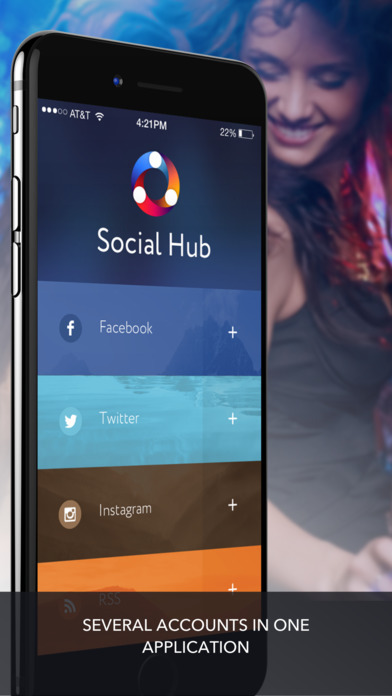 Social-hub can also be password protected to keep out unauthorized users, and since users spend less time launching various social media accounts, they prolong their device's battery charge. And now in the latest version, users can take advantage of enhanced Instagram integration. "We've received an incredible amount of positive feedback from users since launching Social-Hub in late 2014," commented Islom Kamalkhodjaev. "And while we've made several improvements since then, we've been working very hard on enhancing the Instagram integration and giving our users more ways to save time, get more done, and have more fun. We're excited about the latest version, and believe that our users will be impressed by the improvements and additions!" Based in Moscow, Russia, Islom Kamalkhodjaev is an independent app developer and entrepreneur who is passionate about apps, and employs professional experts to help bring his creative ideas to life. All Material and Software (C) Copyright 2016 Islom Kamalkhodjaev. All Rights Reserved. Apple, the Apple logo, iPhone, iPod and iPad are registered trademarks of Apple Inc. in the U.S. and/or other countries. Other trademarks and registered trademarks may be the property of their respective owners.